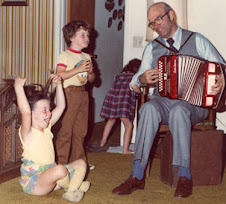 In honor of St. Patrick's Day, John played at his granddaughter's preschool on March 16, 2011 with his son-in-law. Two of his daughters danced for the preschoolers and got them to try out some dance steps of their own. Happy St. Patrick's Day!